New Logo, New Vision. 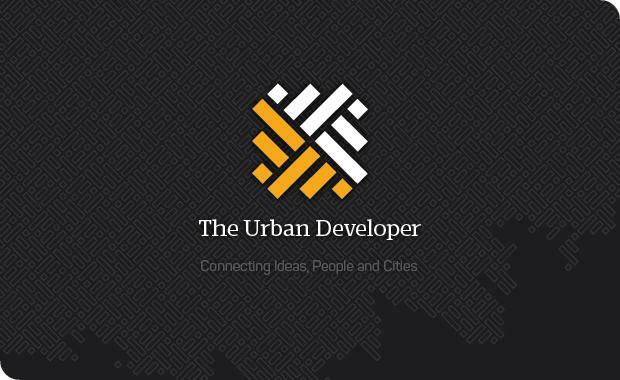 Welcome to The Urban Developer's New Brand. It all began with a few too many beers, a frustrated Development Manager and a post-GFC world that afforded the aforementioned Development Manager with an unhealthy amount of time to 'research'. "Why the hell isn't there a website for new development projects in Australia?" I asked myself. It was 2012 and I was working with Leighton Properties in Brisbane. After a long week of not doing too much, I decided to recount my frustrations on a Friday night to a mate of mine on his back deck. "It seems bloody ridiculous that one of Australia's biggest industries doesn't have a dedicated online homepage for people that work within that industry," I continued on my rant. My mate, a Creative Director for a large advertising agency, then told me about his daily dose of emails that he received every morning. Mumbrella every morning that give me everything I need to know - from Saatchi & Saatchi's new campaign for Coke to Channel 10's shocking ratings for Big Brother," he said. The seed was sewn and the roots had started to take hold. Several weeks later, I was sitting in Arriva's New Farm trying to come up with a name for my side project, an online blog focused on new development in Australia. As I waited for a mate, I wrote down some options on a napkin; newdevelopments.com, thepropertyhomepage.com, developmentone.com... nup, wasn't satisfied. I then wrote down theurbandeveloper.com and it felt right. I quickly checked whether the URL was available (it was!) and I bought it there and then. Within another week, I had bought a $200 hosting package and domain name, taught myself how to use Wordpress and The Urban Developer was born. You can even check it out here on the Wayback When Web Archive...how bad is it?! After a couple of years of writing (terrible!) articles about development projects that inspired me, my little blog had grown from 100 friends and colleagues to an email list of 2,000 subscribers from across Brisbane and the rest of the country. At this point - early 2014 - I felt like I was onto something and enlisted a good friend and big thinker, Lachlan Webb, to help me tackle the project more seriously. Over a few months, many late nights and (again) far too many beers, we'd designed and built a new website, pre-sold a bunch of advertising, hired a Managing Editor, negotiated free rent off my sister and thought "f*ck it, let's give this thing a go. "We didn't know what we didn't know and dived deep, very deep, into the unknown world of digital media. On 1 July 2014, The Urban Developer - the business - was born. Today, The Urban Developer is Australia's largest, most engaged and fastest growing online audience of property developers and urban development professionals. We've experience tremendous growth across our community, our team, our understanding, and of course, our vision. At the very core of our business is our community. This is our only asset and we take this very seriously. Together, our community alone represents BILLIONS of dollars of investment in the Australian economy each year and it's a huge privilege to inform, inspire and connect the creators and custodians of the built environment. Our vision at The Urban Developer is to create a digital platform that drives meaningful change in the way that we design and deliver the cities of the future. We want to challenge the status quo in a way that delivers positive outcomes and promotes the best of the industry. So, to celebrate our two year anniversary in business, we're delighted to launch our refreshed logo. Our new logo represents a connection of the ideas, people and projects that contribute to our vision. For us, it serves as a constant reminder to promote and encourage the best of them. Whilst it's only a logo, we believe that it represents the next step in our journey, a meaningful milestone that opens a door to the next phase of our growth. From a pizza napkin to this today, we hope you like it. Cheers, Adam.